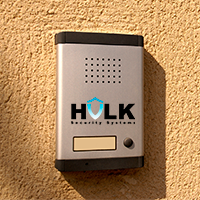 Security systems for New Jersey are provided by NYC's own Hulk Security Systems, offering a range of security services to the entire New York area and New Jersey. We maintain an equal focus on all the areas that we serve. If you need alarm systems, each environment, residential or business, will need something different. Every area has its own particular security needs and each home has different configuration possibilities for extended security configurations. This is why it takes experts to do the job right. It isn't just a matter of installing some home security products; there is a strategy to the process. Our technicians know all of the tricks that intruders will use to gain access to your property in New Jersey and New York, so they are prepared to have security completely covered in such a way that the robbers will never see it coming. This is a good plan for persistent, maintainable security systems in New Jersey and surrounding areas. At Hulk Security Systems, there is very little that we don't do. As an independent business serving NYC and New Jersey, we can call the shots and provide custom business and home security products in the most efficient configuration to provide top-quality security for you, your family and your business. If you need safes, we sell a variety that is certain to suit your needs. Locks are an area of expertise that we can also provide, with some of the best locksmiths in the city. There are so many services we offer, you should take advantage of a free assessment. It could be the difference between vulnerability and safety for your property. Security Systems for New Jersey have never been better.